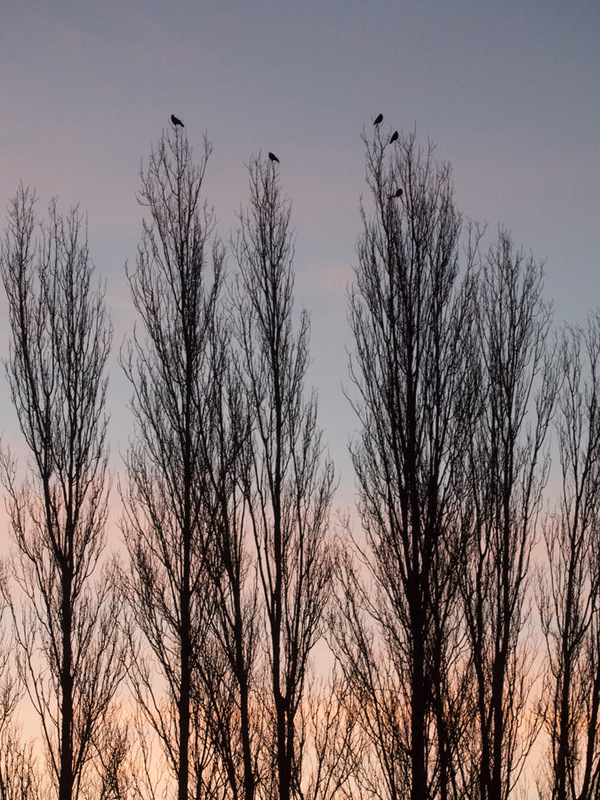 I took some time to appreciate the last dawn of 2014 – and such a dawn it was. After a festive season of heath challenges, it seems even more important that usual to appreciate the small things that are big. Being with family, good friends, health (it’s all relative), moments of quiet loveliness, every dawn, every sunset. 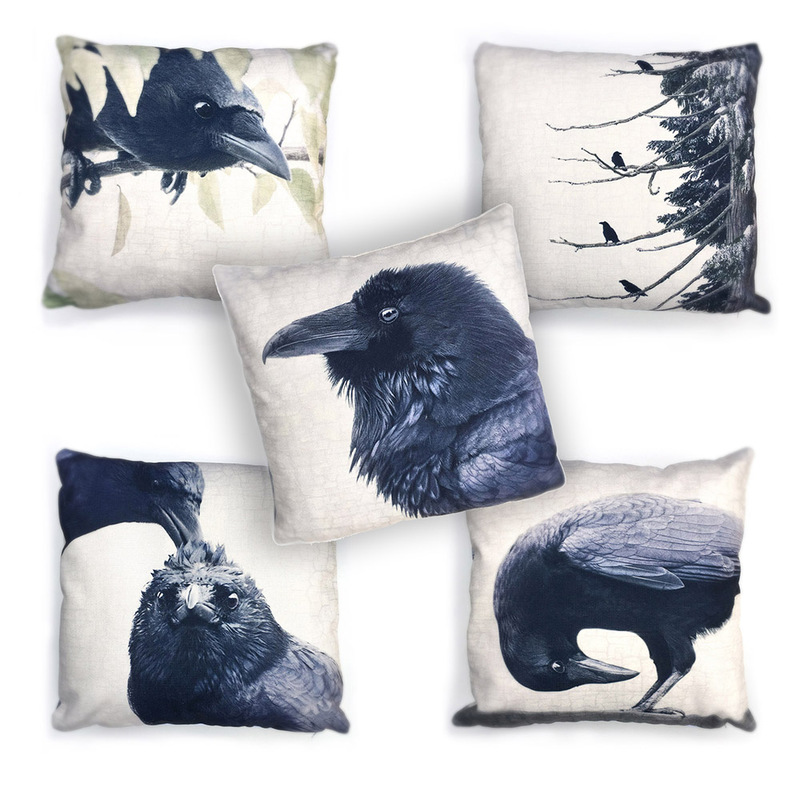 Crows, naturally. A week or so before Christmas my husband was in a nasty bike accident. When we found him in emergency he couldn’t remember the last five years or so of his life, or how he had come to be in the ER. Thanks to his helmet, he did not have a major brain injury, “just” a concussion. By the next day he remembered everything, except for the ride to work, the accident, the ride in the ambulance and the hours spent in the hospital. These things he may never remember. Concussions, I am learning, are tricky things, taking anything from weeks to months to recover from. Phillip has spent about 90% of the holiday season in bed, in the dark with his new best friends — audio books. Even watching TV or reading is too much for his rattled brain at this point. He will get better eventually, with rest and quiet, so as frustrating as the process of healing can be, we are grateful every day that things weren’t much, much worse. So this morning I made a point of spending an hour or so bundled up on the top deck of our house to welcome in the last day of 2014 in all its splendour. This may be the most exciting part of my New Year’s celebrations this year, but that’s just fine with me. The first of the commuter crows arrive. 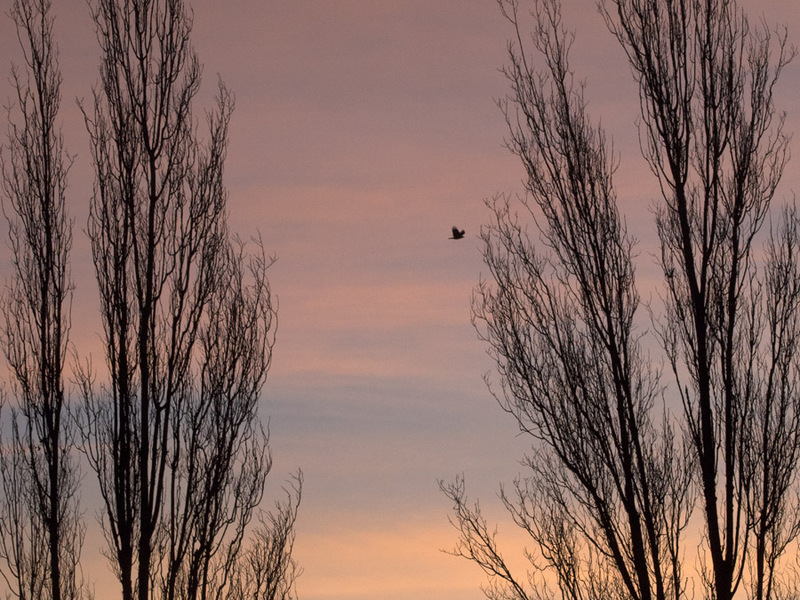 As the sun rose, the sky behind the poplars at the end of our street was painted with sugared almond shades of peach, raspberry and lavender. 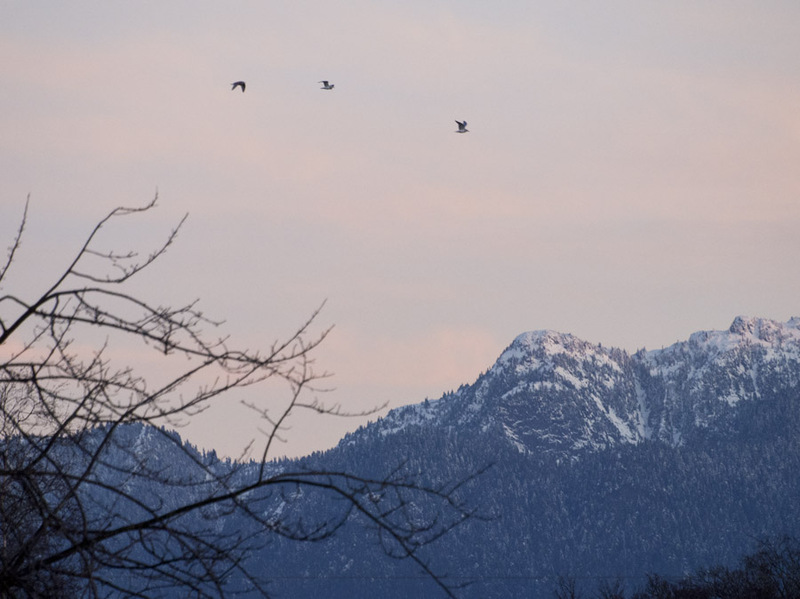 And, as reliable as clockwork, the crows began to arrive from the east and their night time roost at Still Creek. Most were just passing through, heading to their “day jobs” in North Vancouver and points west of here. But the locals stopped on the very tops of the poplars as if to take in the breath-taking views. I’ve often noticed them hanging around there on mornings with particularly gorgeous sunrises, as if they are as susceptible to the beauty as I am. 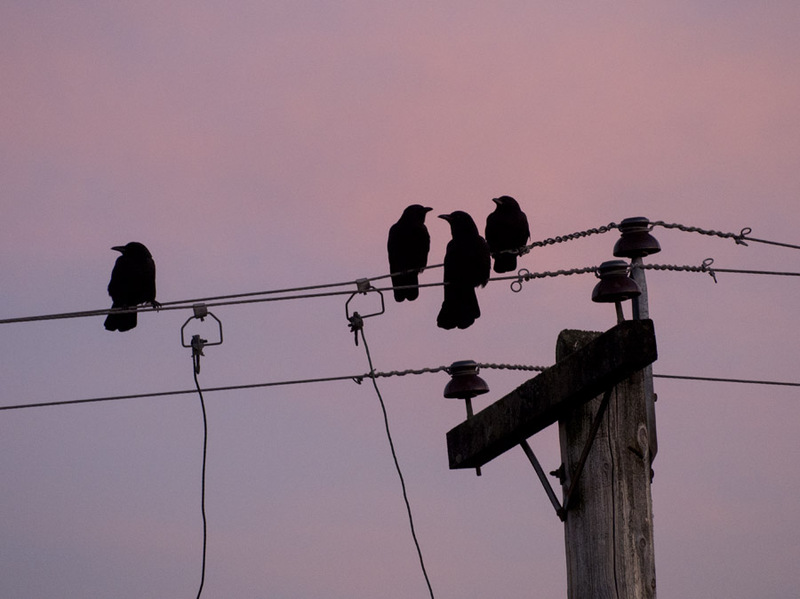 Of course, it could be that they sit there every morning and I only notice them when I happen to be out taking in the view myself, but I prefer to go with my “crows as dawn worshippers” theory. 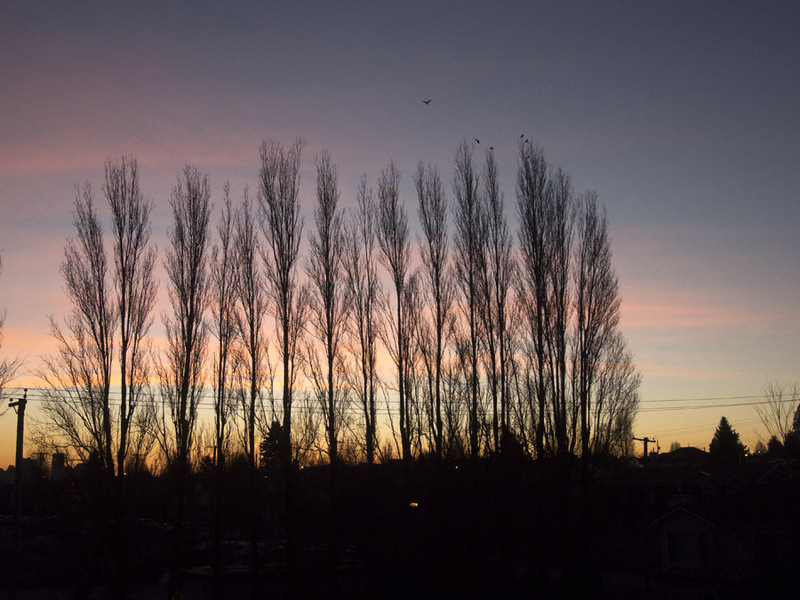 You can see the neighbourhood waking up from the vantage point of our roof, the sky changing and a positive rush hour of birds – flickers, gulls, geese, sparrows, juncos, were spotted this morning, as well as Eric and the gang. The northern flicker scooped the weeping birch perch this morning. As I watched Eric and his little group huddling together on the wires, I was also reminded of how grateful we’ve been for all the friends who’ve rallied around since the accident. 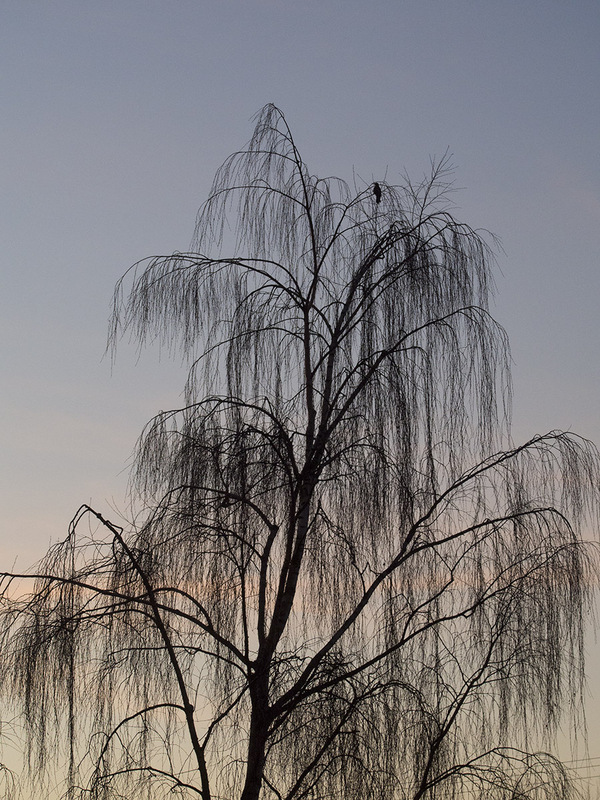 It’s the crow equivalent of volunteers leaving the little crow family group to head over and scare away the eagle. 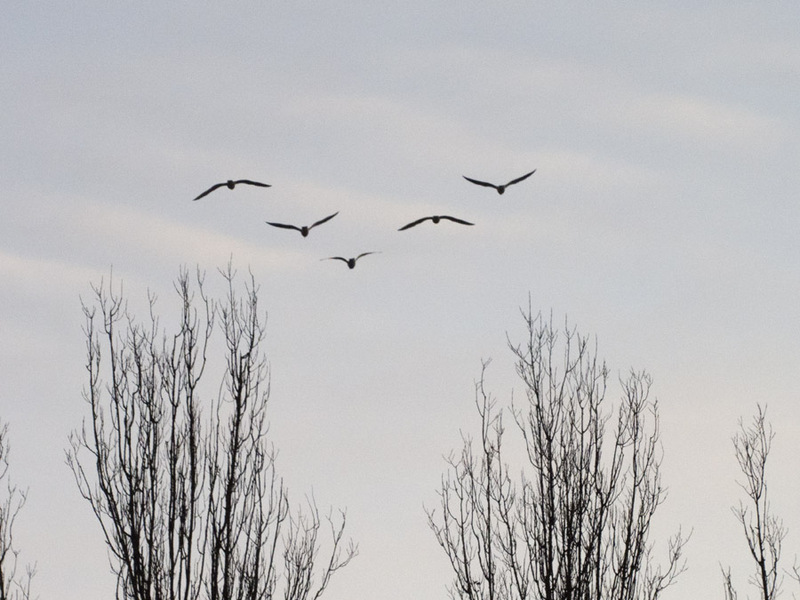 I’m sure our friends would scare eagles away for us too, but, in the absence of winged predators, we are very grateful for all of the soup, cookies, help and concern that we’ve received. 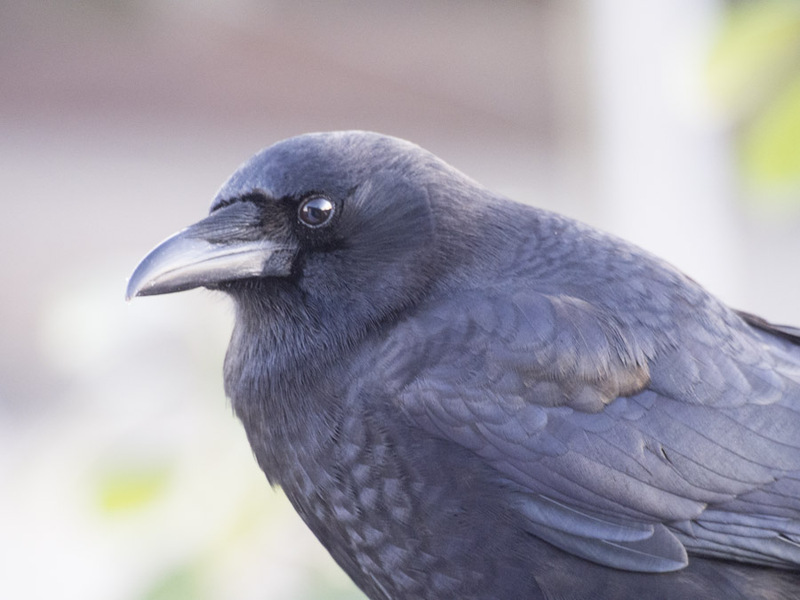 And, of course, I’m very grateful to Eric and his corvid kin, because watching them lifts me away from my worries and cares for a while as I realize there are so many lives being lived in parallel to our human ones, even here in the middle of East Vancouver. Happy New Year, everyone. From me, and Eric. Lovely words, hope you hubby is recovering a little more each day. Love Eric too. I once was encouraging a crow in my garden, I was surprised at how easy it was. I stopped encouraging him early on as I am away so much I felt it would be unfair. Maybe one day. I was just about to send a message to find out how Phillip was doing on this New Year’s morning, and then got your email with the blog link. Lovely photos and reminder of all that is precious. All the best to you and Phillip, Lily and Ian for 2015. Thanks, Sharon. Happy New Year to you and Kirk too. Hope to see you guys one of these days. January 1. I just read your blog and am sending all our best to Philip and to you.As in your beautiful photographs, our surroundings can be turned exquisite by darkness. Here are wishes for much that’s exquisite for both of you in 2015. Thanks for that lovely wish, Kim. Hope that 2015 is awesome for you too. So surprising and sorry to hear about Phillip’s accident! We wish him continued healing and lots of love. Take good care, all of you. Thanks, as ever, for the lovely words and stunning photos. Thanks, Nora – and a very happy new year to you and Larry! Good morning June from Perth in Western Australia. Thank you for the delicious photos. Our local birds are enjoying the summer by swooping through the lawn sprinklers and dipping in the bird bath.They flit from tree to tree in between dips and go in size order it seems, the smallest fantails and honey eaters first then white cheeked honey eaters, willie wagtails and wattle birds. Doves have a paddle and crows often come to dip food in the water to soften it up. Magpie larks have a lovely call as do our carolling magpies and even though the glossy crow is oft maligned they are beautiful. Many would disagree but then I have a soft spot for gulls and parrots as well! I hope your husband makes a happy recovery and wish you all the best for the year ahead and continued happy creating. So sorry to hear about Eric’s injury! We have a cyclist friend, who is also recovering from a concussion. Thank you for the great suggestion of audio books! Thank you for your beautiful, inspiring photos and thoughts. Here’s to the mystery and renewal the New Year brings! Audio books are a really great discovery. A librarian friend of ours suggested it and some books can be obtained for free through the public library. We also got and Audible.com account so he can download books that aren’t available in the library. I think I might even start listening to them when I’m working in the studio, in addition to the usual radio and music.